Purchasing a car in Florida is not an easy task. 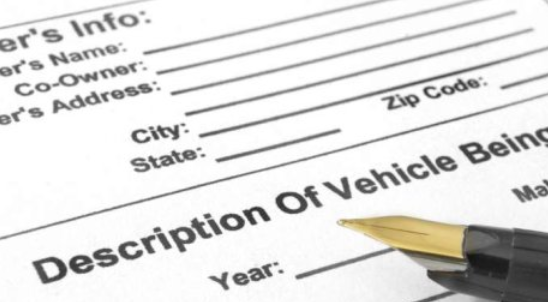 You must obtain the paperwork from the seller in order to register and title your vehicle. The Florida Department of Highway Safety and Motor Vehicles (FLHSMV) is the department responsible for processing title and vehicle registration. If you purchase a vehicle from a dealer, they will handle the required paperwork on your behalf. Continue reading this article to get more information about the paperwork required when buying a vehicle in Florida. Your signature and date on the back. The "Transfer of Title" section filled out by the seller. The seller’s signature and date on the back. Odometer reading (less than 10 years old vehicles). The second document that you must obtain from the seller is the bill of sale. This document contains details on vehicle purchase price, VIN, sale date and other essential information regarding the vehicle. Finally, you must obtain a VIN inspection, if the vehicle is bought from another state. This inspection can be performed by law enforcement officers, licensed notaries or officers at the Florida Department of Motor Vehicles. Don’t buy a car without a title. In fact a title is a vital document that you not only need to register your car, but also to show proof of vehicle ownership. If the title is missing, ask the seller to apply for a duplicate copy for you before selling the car to you. The signed and completed vehicle title. Payment for the fees and taxes. Form HSMV 82040 (The Application for Certificate of Title With/Without Registration). Title transfer fee: $75.25 (For cars bought outside of Florida, their fee is slightly higher). Annual registration fee, which varies by car size and weight. Sales tax, which varies by vehicle purchase price. The FLHSMV will look at your documents and if approved, you will be issued with a new license plate. Checking the car for worn gas pedals, brake pads and other parts. Cars with low mileage will have intact parts. Letting a qualified mechanic inspect the car before purchase. Obtain the vehicle’s history report of that car. If you are a victim of odometer fraud, car insurance fraud or other frauds, report the matter to the Florida Bureau of Criminal Investigations and Intelligence (BCII) through phone (850) 617-2383 or in person by visiting their office. A vehicle history report is needed before you purchase a car. This report includes information about vehicle damage history, accident history, VIN and mileage covered. This report can help you avoid fraudulent practices from sellers.